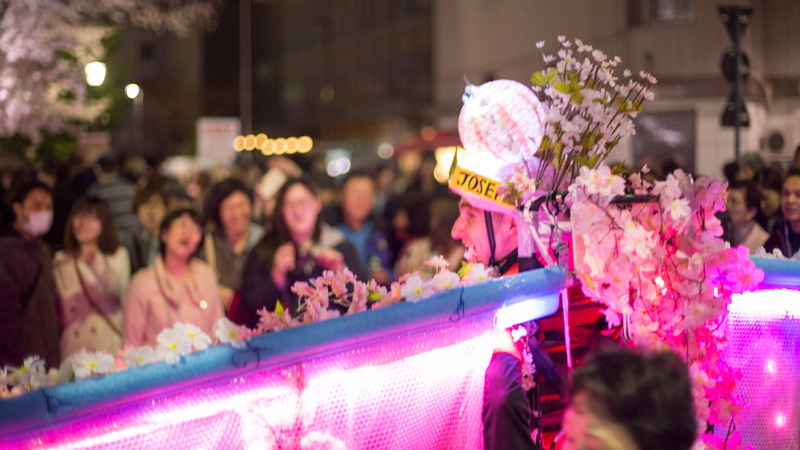 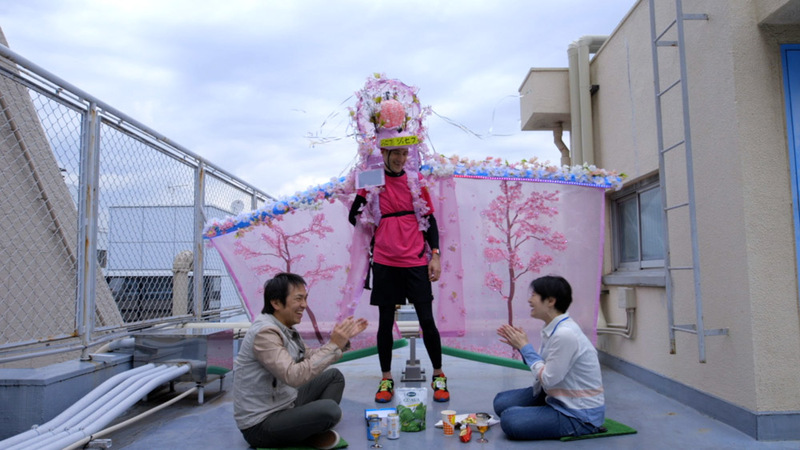 Enjoy Cherry Blossom Viewing Parties. 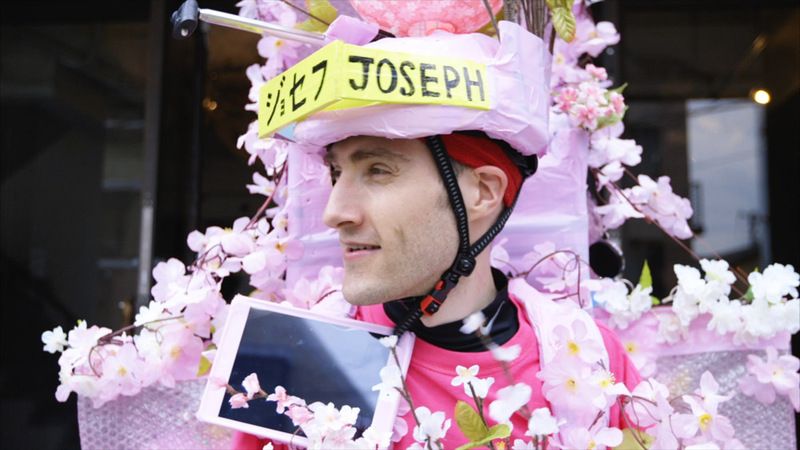 The latest addition to Joseph Tame’s series of problem-solving wearable devices. 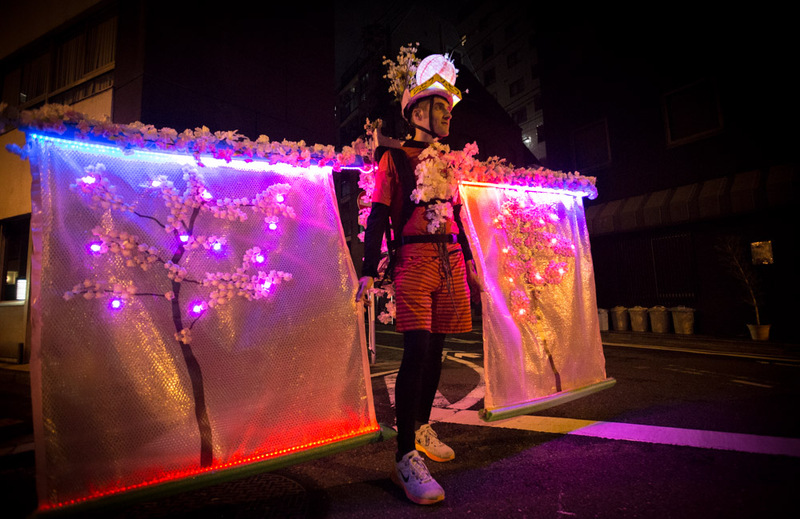 Japan’s cherry blossom season is truly one of the wonders of the world; a sudden bursting forth of billions of flowers across the country, transforming any landscape it touches, and signalling the end of the long cold winter. 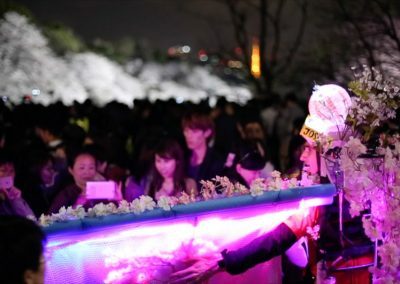 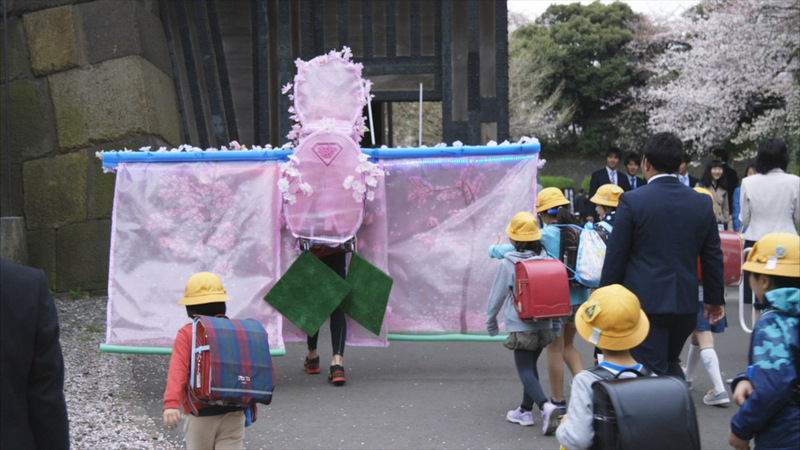 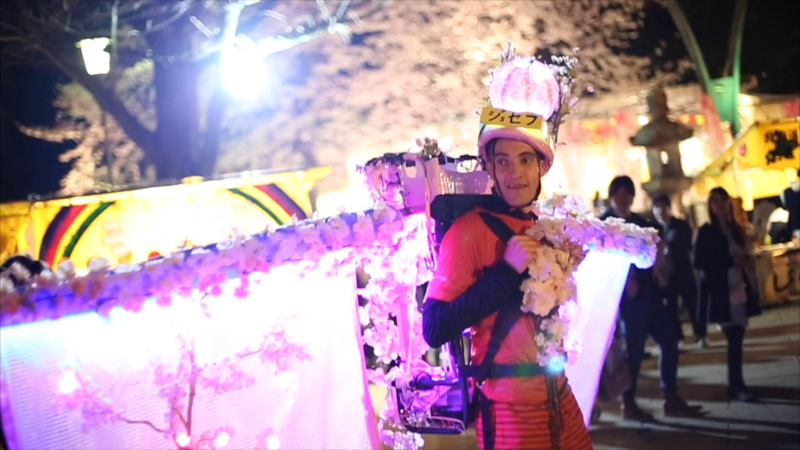 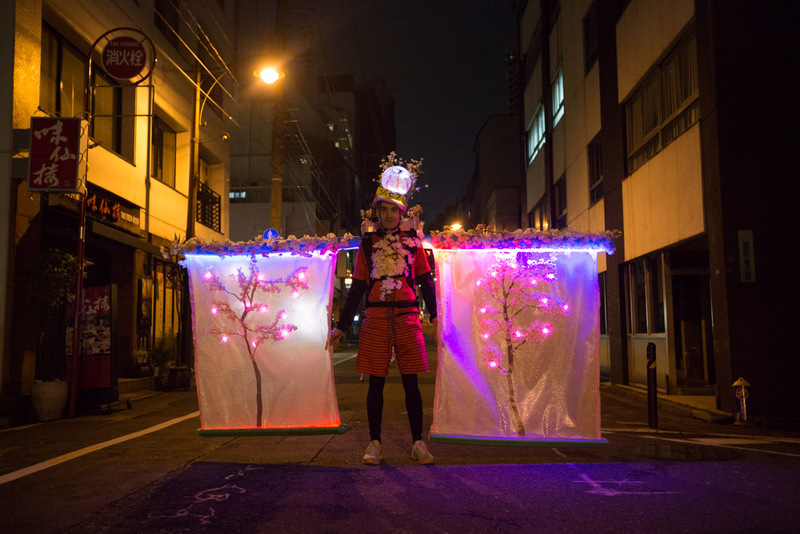 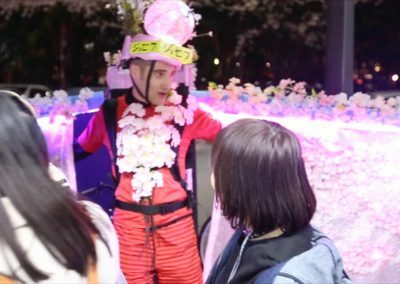 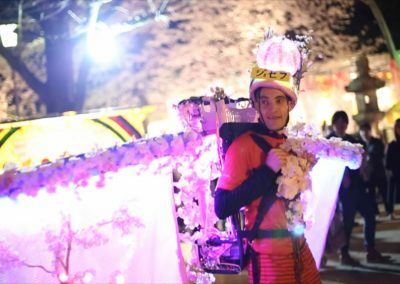 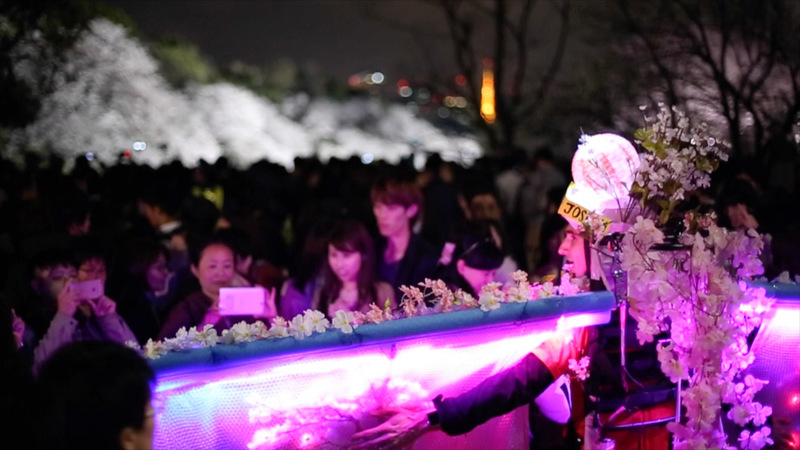 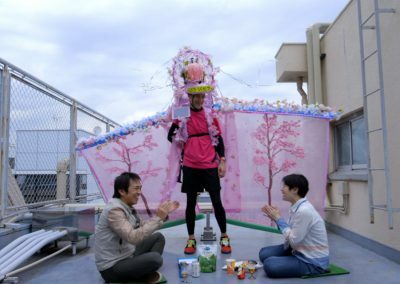 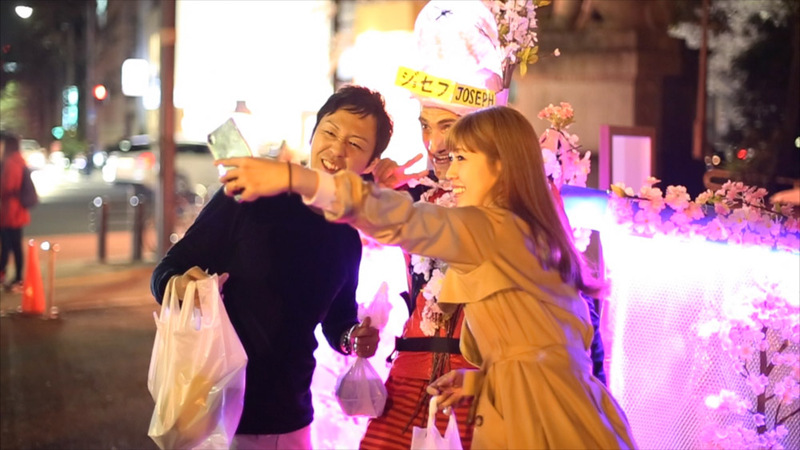 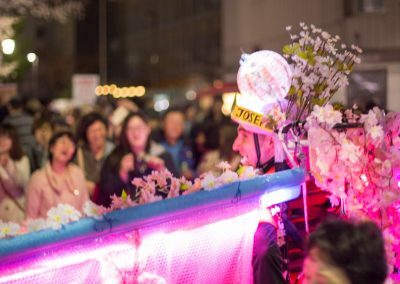 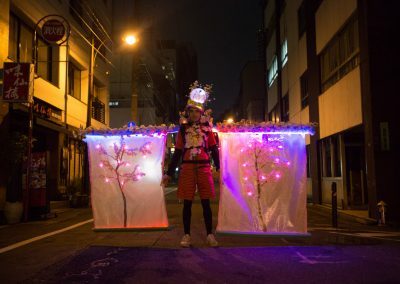 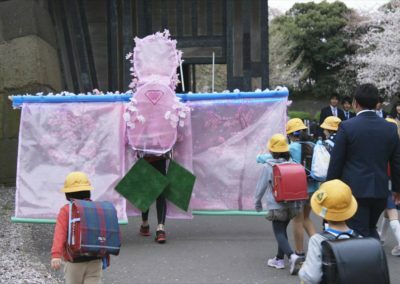 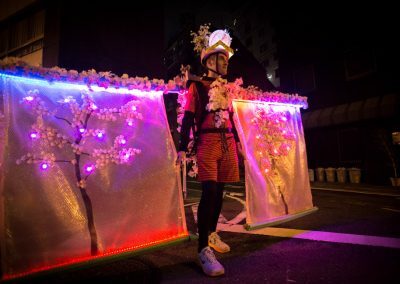 It’s only natural that everyone would want to celebrate this transformation – and thus every year millions of people join friends and family under the trees for Cherry Blossom Viewing Parties (‘hanami’). 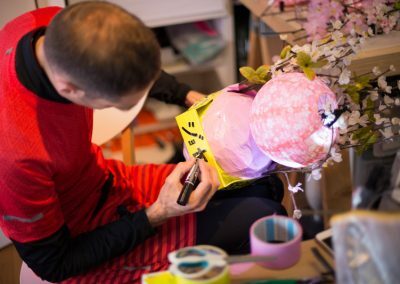 Over the past 10 years I’ve also enjoyed this phenomena, but it always struck me that it was far too short – the blossom would be going within a week. 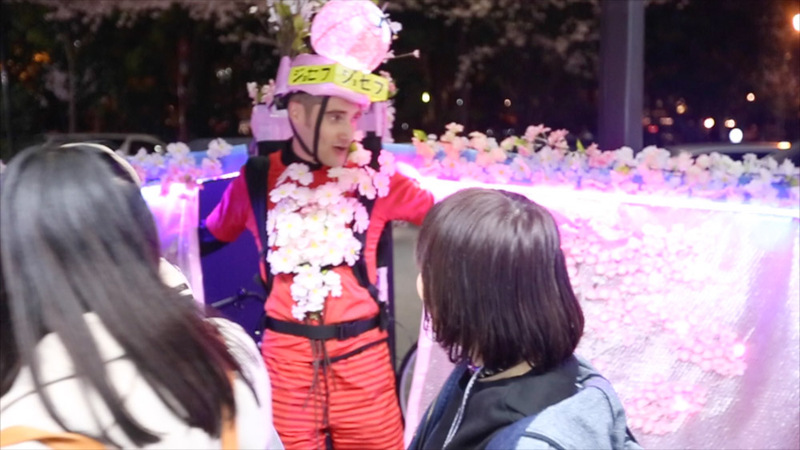 It was with this in mind that I created SAKURAMAN, and for the past few weeks, I’ve been testing him out on the streets of Tokyo. 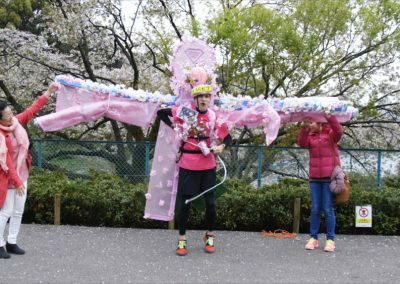 For the first time, this year people have been able to enjoy the cherry blossom for far longer than just one week at the end of March. 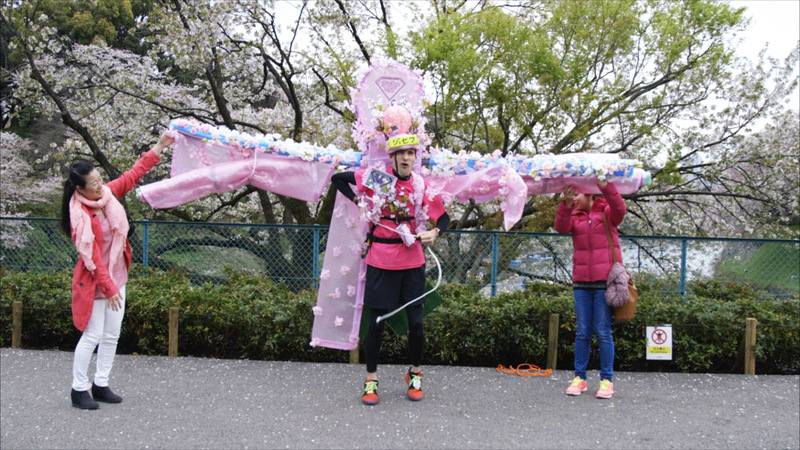 Following successful beta testing, I’m happy to announce the full launch of SAKURAMAN. SAKURAMAN was created by Joseph Tame to provide year-round Cherry Blossom happiness. 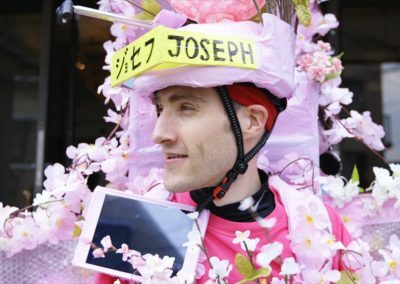 If you would like to enjoy a Cherry Blossom Viewing Party at any time, any where, contact him today using the form below, or create the mobile app that Joseph made a mockup of for the video and then use it to summon him.